When I first saw the Nero 5 pump at MACNA 2018, I was impressed. It's a very clean design with a low profile. A month later, I looked at one even more closely while at RAP California. And shortly after that, I got my hands on one to try out for myself. 4/24/08: For years, I've heard from many of my online friends about the various corals they'd order online. I'd think about the money they spent on their exotic frags, and go about my business. To me, it is much more fun to go to the local fish store (LFS) and browse for the perfect new addition to my tank. I can study it closely, consider how it looks from all angles, and if I like it, buy it on the spot. Within the hour, it is acclimating in my quarantine tank, where it will be treated, dipped and later placed in my reef. I installed the Reefbrite Lumilite on my frag system's refugium a couple of months ago to see how it would do. Honestly, I had a feeling I'd need two of them to handle that area. Still, I had to test it out to see what it could do rather than supercharge my results. Water parameters on that system wander a bit because I don't watch it as closely as I do my reef, but despite that the macro algae has done quite well. When it comes to securing corals in our tanks, we need to use putty when super glue gel won't suffice. 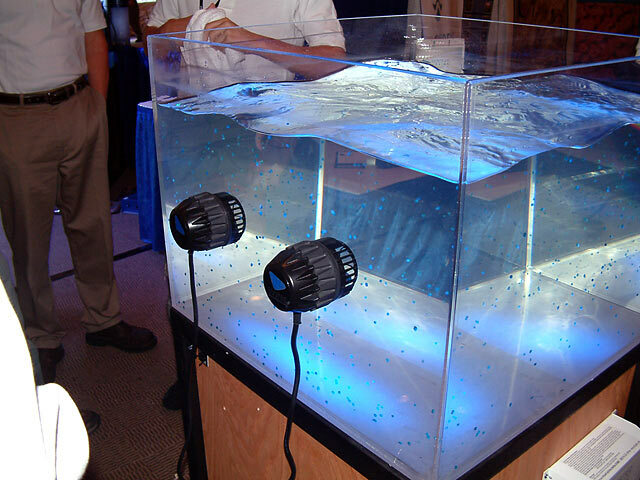 The 2-part epoxy putty offered by D-D The Aquarium Solution is the brand I recommend most. It is reef-safe, comes in a coralline-pink color, and lasts a long time. I often refer to it as "Deltec putty" so if you are having trouble finding some, try that name instead. When I first heard about Safety Stop by Blue Life USA, I was intrigued. A small package containing two solutions to help fish shake off external parasites sounded very practical. So I made a call to Blue Life and asked more questions. Quite a few people recommended Warner Marine's EcoBak media when it comes to nitrate & phosphate reduction in the aquarium. This was one of the first brands to come to market initially, and for a period it was almost always out of stock. If you've been on the fence, unsure if it is worth the effort, let me assure you that it replaces other choices like vodka dosing... and it does so nicely. Prodibio is company based in France that has a complete line of products to dose your aquarium with. Their website (http://www.prodibio.com/) lists additives for freshwater, saltwater, fish disease treatment and pond treatment. Since we are primarily Reef Addicts here, I'd like to discuss how I'm using their saltwater dosing system for my reef. I recently received the brand new electronic Neo-Therm submersible heater from Cobalt Aquatics. I was excited to test it out, because it doesn't look like any heater you've ever had before. It's about the thinnest I've ever seen, measuring at 8mm or the unusual 1/3" listed on the box. The best news of all: a Three Year Warranty. Any product that has a 3-year warranty is good in my book, because that usually means the company believes in it enough to make that promise. It is rated to keep the temperature at +/- .5º F, which is a very tight tolerance, and is UL listed.